Caring for a horse is a huge commitment, not only financially but with your time too. We have experienced quite a mild autumn so far but harsh winter days and nights will soon be here so it’s best to be prepared. 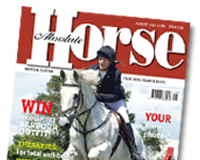 The British Horse Society share some season advice with Absolute Horse readers in our December edition.